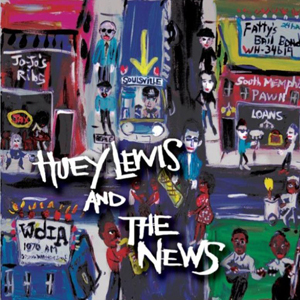 Huey Lewis and The News have been defying the rock oddsmakers for three decades. 2009 marked the group’s 30th anniversary. Formed from two rival Bay Area bands in 1979, their contagious brand of straight-ahead rock n’ roll has outlasted countless trends, selling over 20 million albums worldwide in the process. Huey Lewis & The News have carried the banner as the quintessential American rock band, endearing them to millions of fans and earning them the right to mark their place on the pop history map. As great a recording career as the band has had, it’s their live performances that remain the stuff of legend. They have toured worldwide continuously for more than 30 years. Huey Lewis & The News incorporate a variety of musical influences, including R&B and soul, to create their own unique sound. One of the highlights of their show is their a cappella rendition of early rock n’ roll classics such as “Sixty Minute Man”, “Under The Boardwalk” and “It’s Alright”. Soulsville is their first album in nine years. Recorded at historic Ardent Studios in Memphis, the album features 14 classic songs from the vault of Stax Records, including “Respect Yourself” and “Got To Get You Off My Mind”. Considered to be the preeminent soul music label in America, Stax was home to artists like Otis Redding, Sam & Dave, Booker T & The MG’s, and Isaac Hayes, and produced an astounding number of hit records throughout the 1960’s & 70’s. Ably paying tribute to the rich Stax legacy, Huey Lewis and The News, joined by their long time horn section, capture the energy and excitement of this important era.